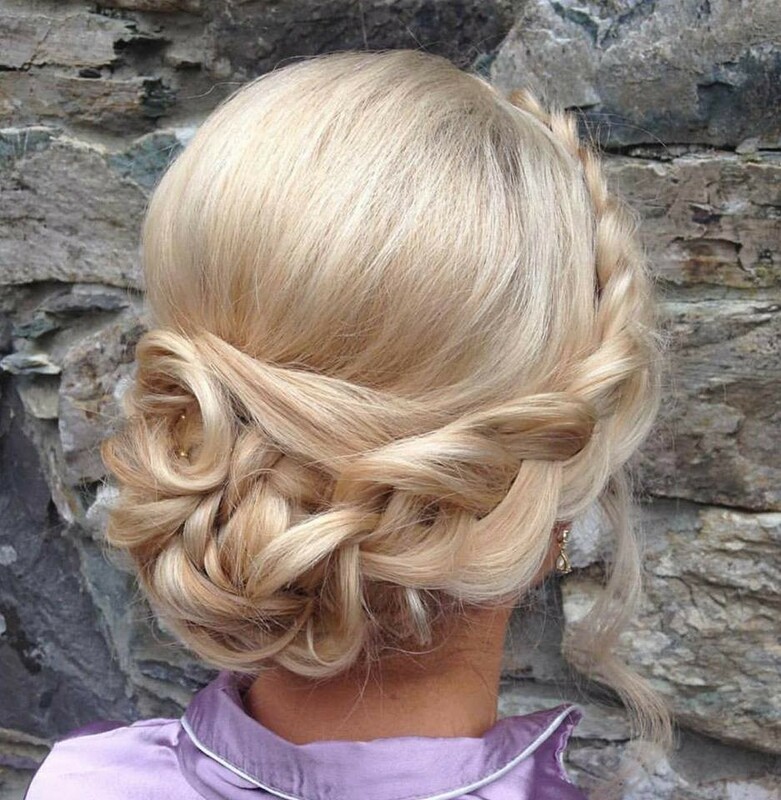 Hair Passion is an art inspired hairdressing atelier in the heart of Cork City. 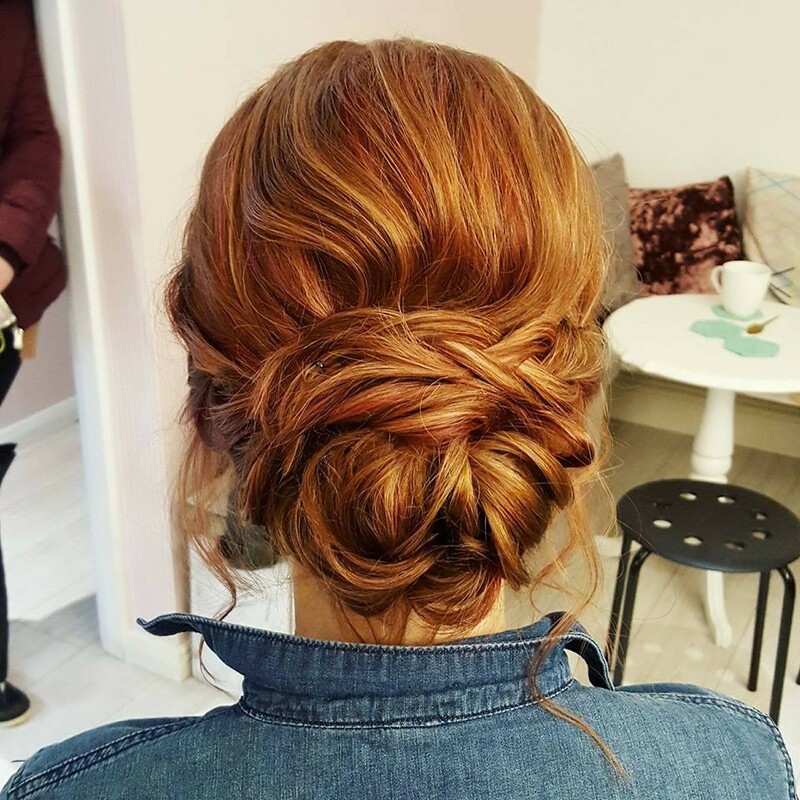 Established in 2011 by Dominica Laureckis, a fine art graduate & professional hairstylist, Hair Passion is a full-service salon designed with creative women in mind. 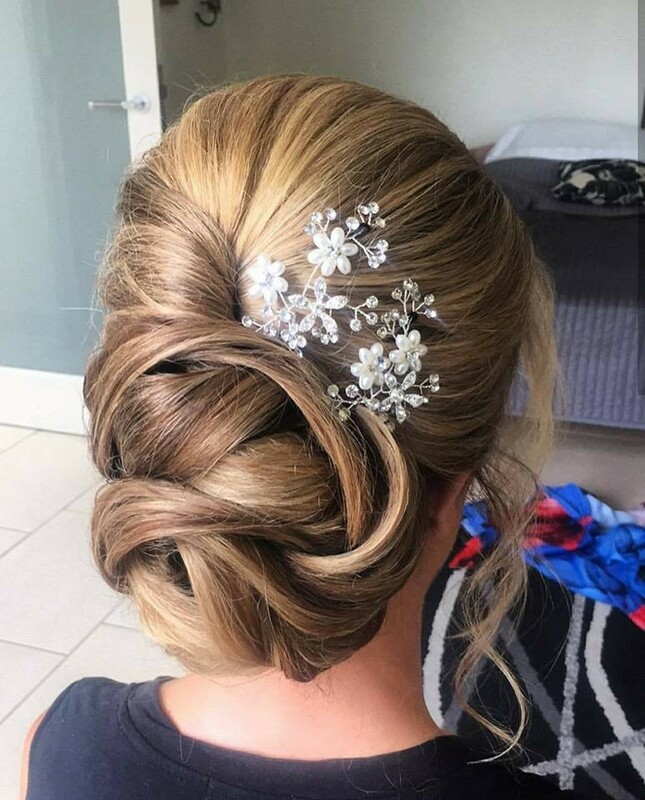 A makeup studio has been added to boutique style salon shortly afterwards, so it currently offers bridal makeup artistry service in addition to wedding hair styling. 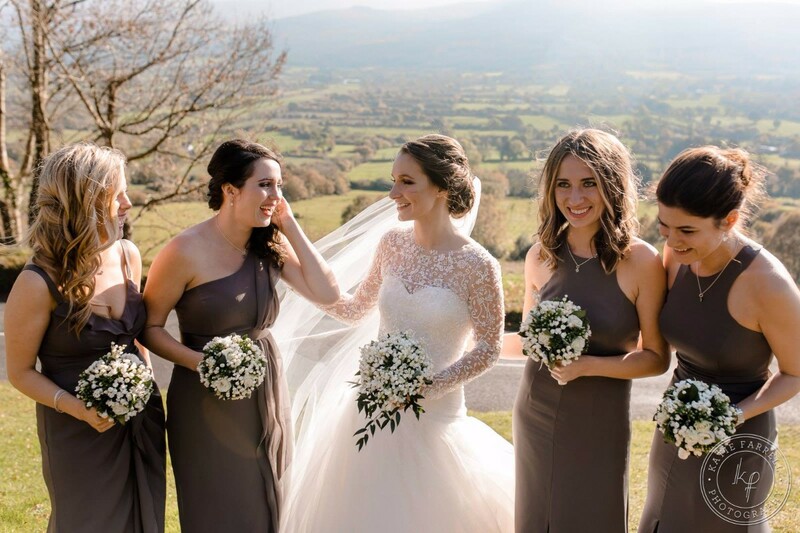 Our friendly team always aim to create a fresh, modern & flattering look that is tailored to each bride, while ensuring our clients feel relaxed and comfortable at all times. 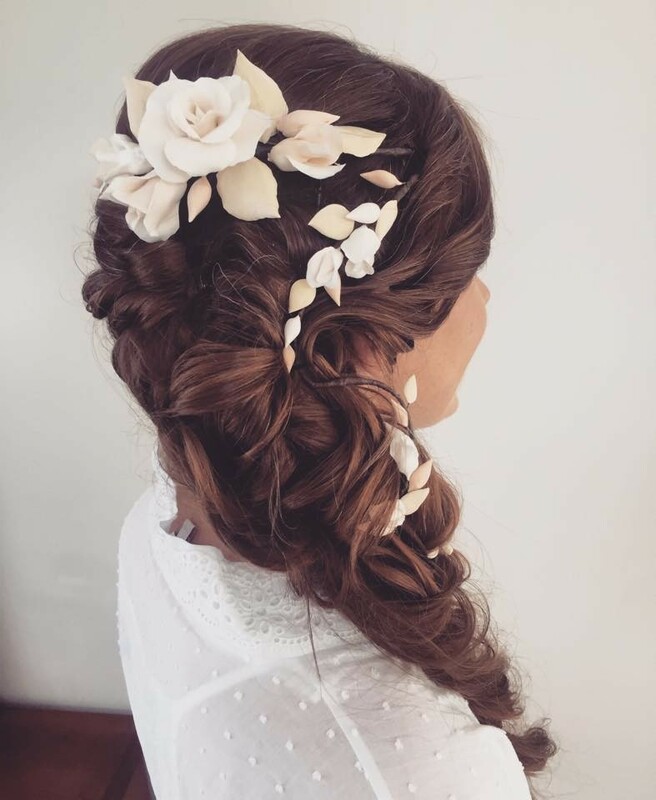 Caroline Wichniewicz, the lead makeup artist & wedding hair stylist is loved by brides for her ability to help them relax and enjoy every moment of the styling process. 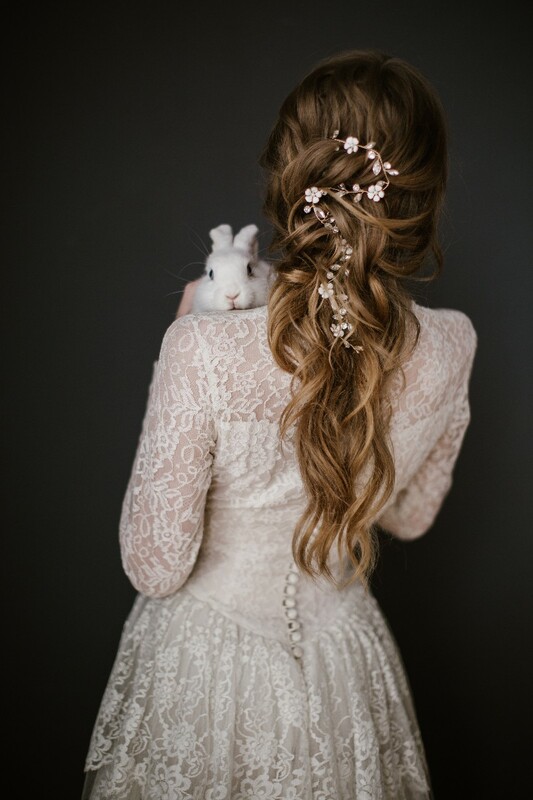 Dominica Laureckis is a very adventurous hairstylist and thanks to her artistic background is often chosen by creative brides that dare to make their wedding (including bridal upstyle) different. 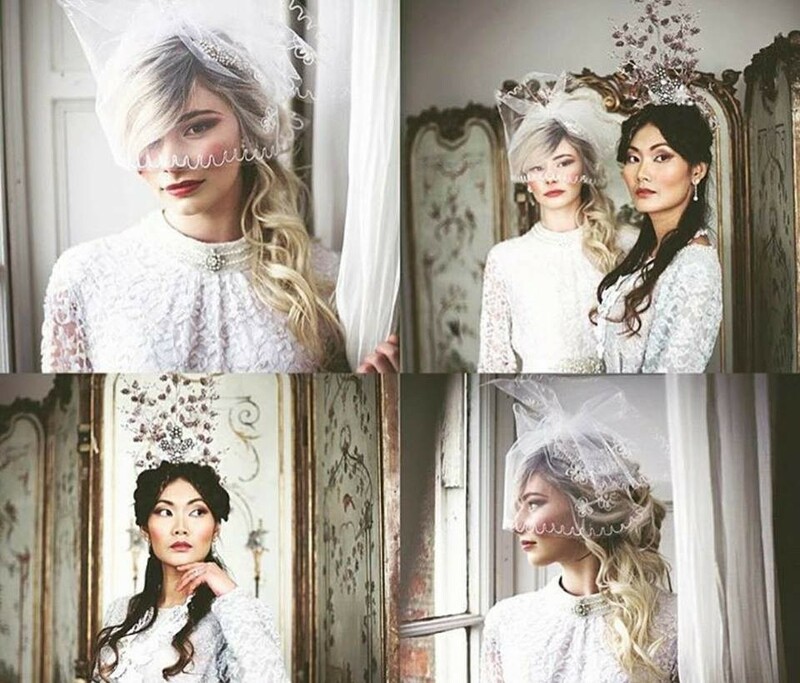 Our salon creativity and skills has been noticed by bloggers and photographers in Ireland and abroad. 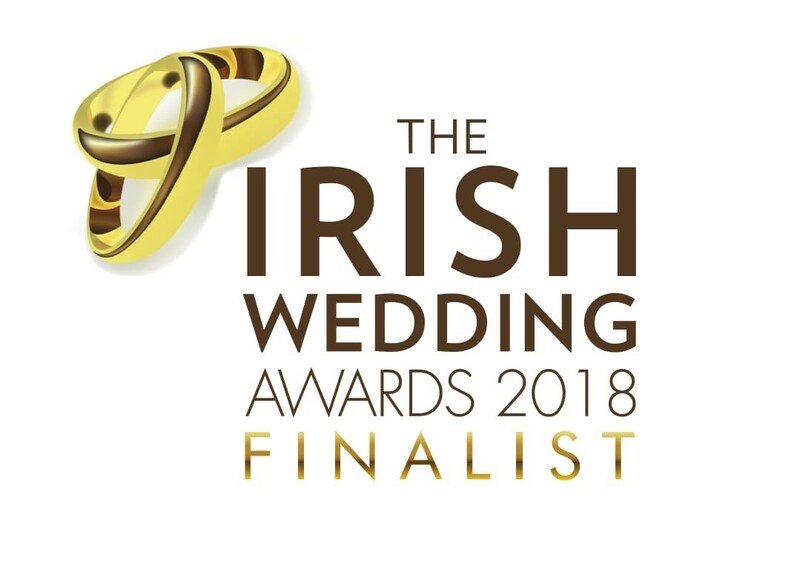 Our work has been featured many times in printed and online magazines and wedding blogs: Confetti, One Fab Day, Flutter magazine, Social and Personal Weddings and more. 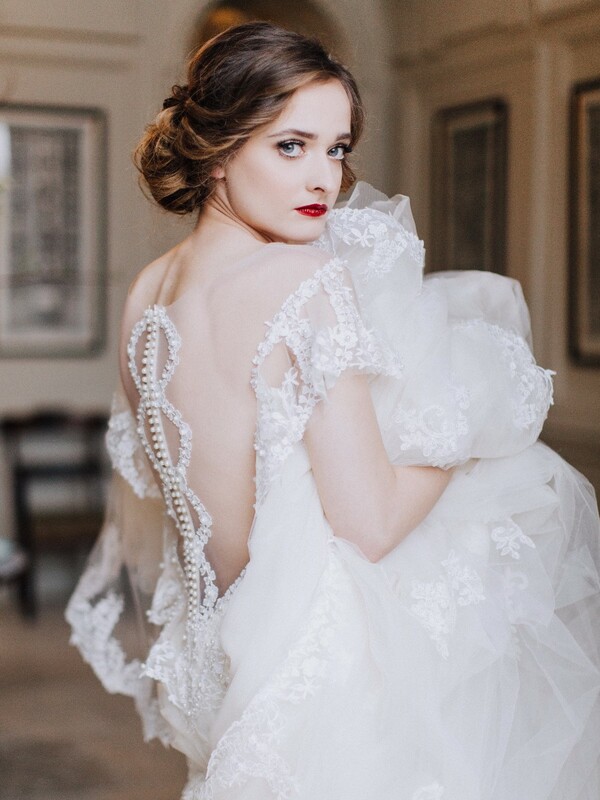 We also worked with a famous fashion photographer Emily Soto as her exclusive hair styling team during her workshops in Ireland in 2016. To check all our revives you are welcome on our facebook page. Dominika was so helpful with organising my trial and booking everything. Her and Karolina were absolutely brilliant - they listened to what I wanted and interpreted it perfectly. On the wedding day they arrived early and had everything set up ready, and were really lovely. They made the whole morning getting ready great fun. I can't recommend them highly enough! Fantastic experience, totally recommend the girls . They did the bridal party and mum and aunt. Very calm and reassuring . Listened to what I wanted and produced it exactly . 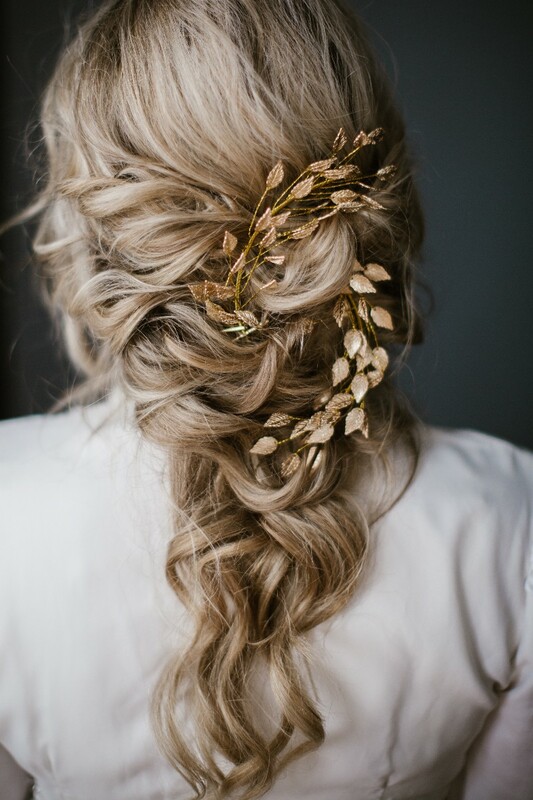 I would highly recommend going with Hair Passion for your wedding. 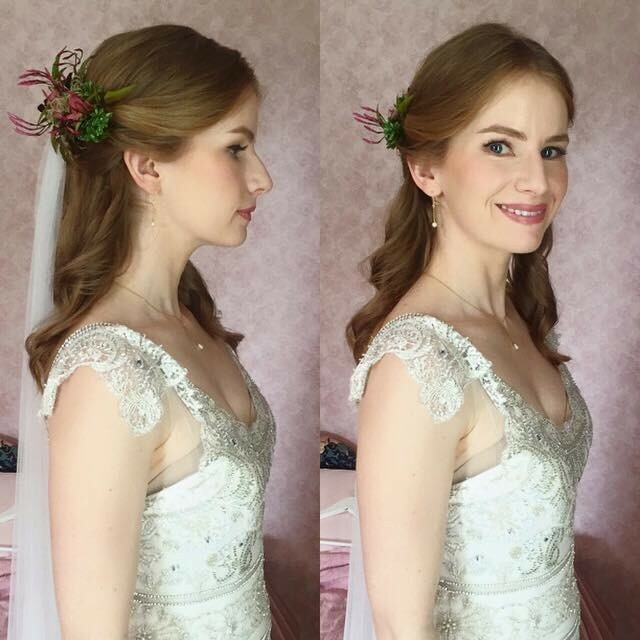 Both Dominica and Karolina were fantastic stylists and a very calming presence on the wedding day. I often find it hard to explain how I want to look but they had great patience and worked with me until it was exactly what I wanted. My sisters and my Mum were delighted with how they looked also. Their salon in town is lovely also they really do have a passion for what they do. 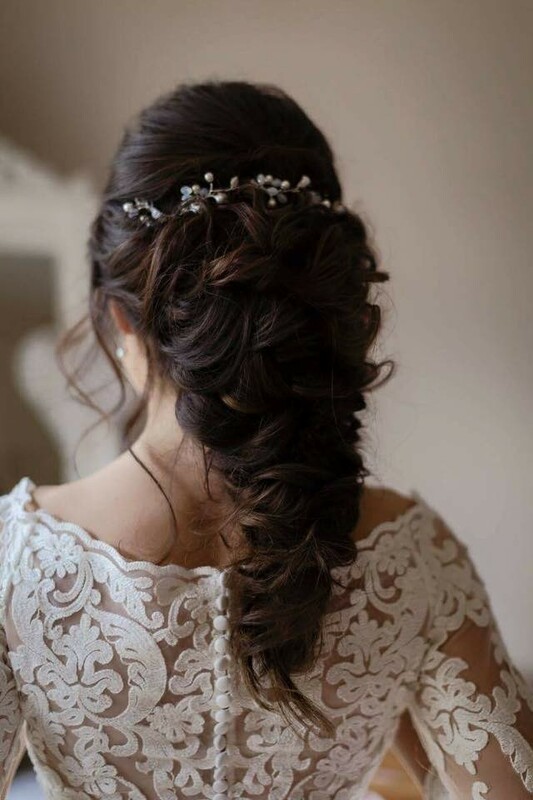 I would highly recommend Hair Passion for your wedding day. 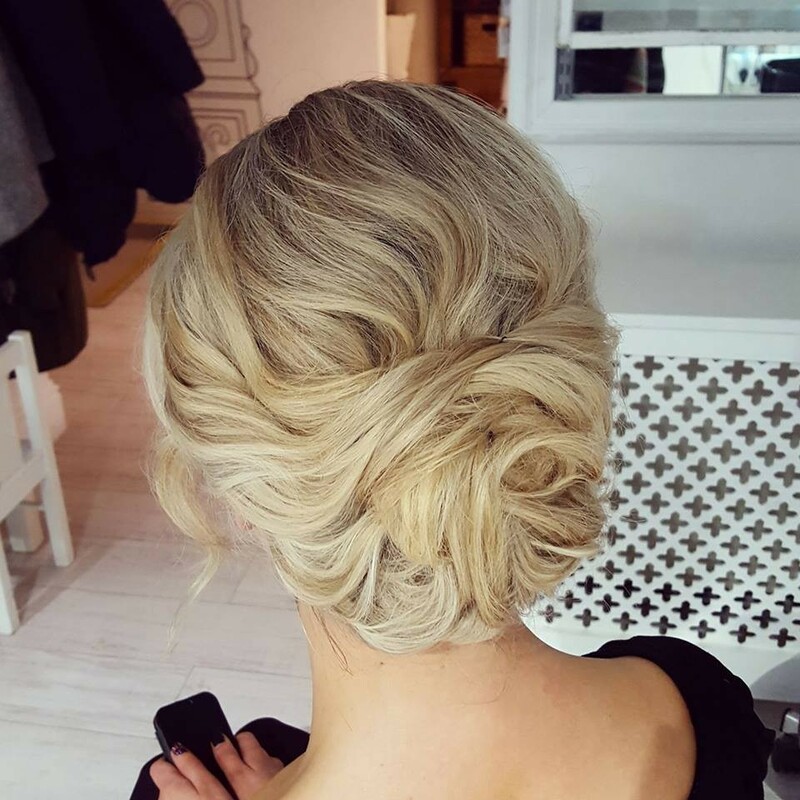 When I met Dominika for my trial in her salon, my Mum and I were immediately impressed with her professionalism and warmth. 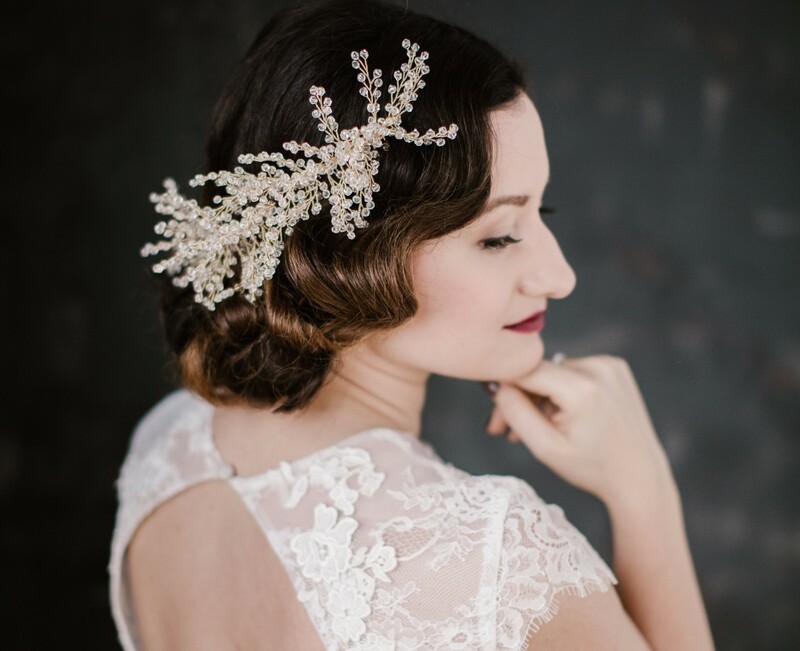 On my wedding day, Dominika put the bridal party at ease and really listened to what we wanted. She has such a lovely personality, she made me feel so relaxed on my big day. My hair was exactly what I wanted and it looked fantastic in the photographs. 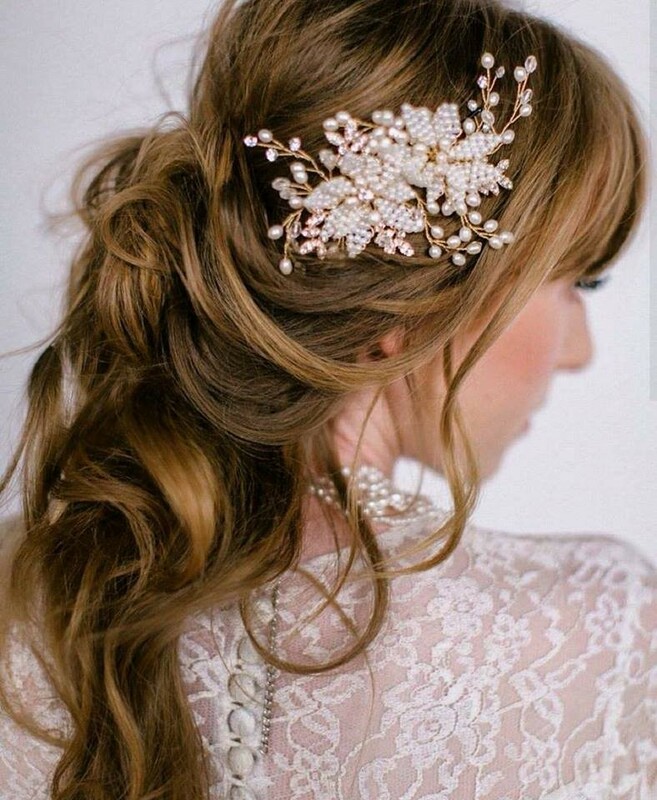 If you want a 5 star bridal hair experience, look no further than Hair Passion. Karolina is a fabulous hair stylist. 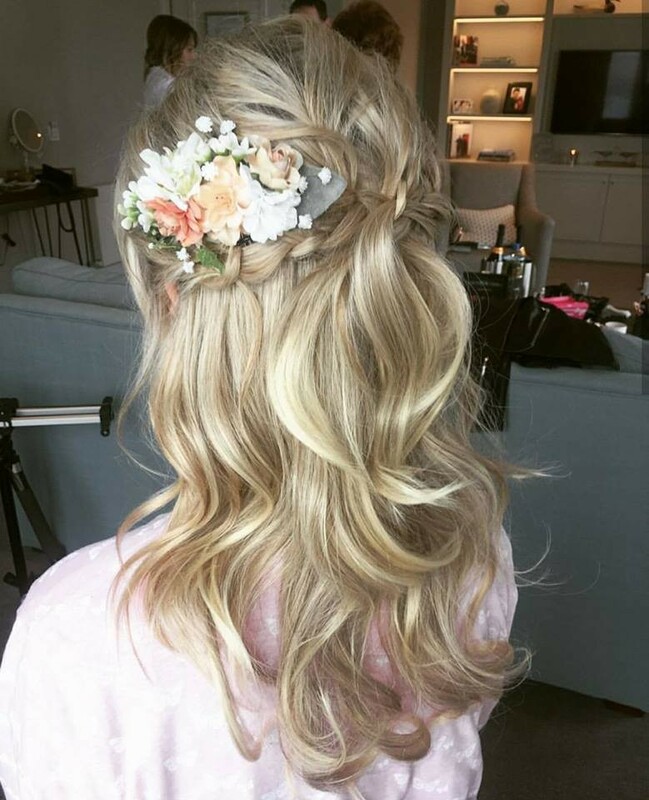 She did my hair beautifully for my wedding day and exceeded all my expectations. She was a very calming influence and extremely professional. She was kind and made the whole experience really fun and enjoyable even though I was a stressed out bride. I am a picky person and Karolina helped me figure out the right hairstyle for the day, which is no easy feat. She was so patient and a wonderful person to have around on the morning of your wedding. Also their prices are extremely reasonable considering the service they provide. 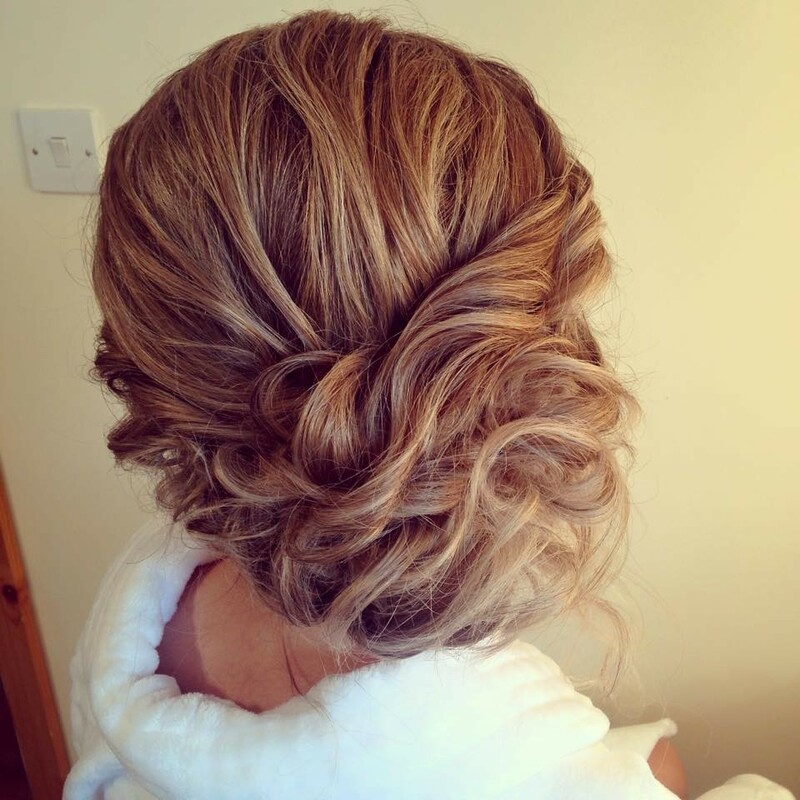 I very highly recommend Hair Passion for your wedding and in particular Karolina. Thank you so much for helping make my wedding day amazing! Karolina was the stylist for my hair and 5 other girls in the wedding. 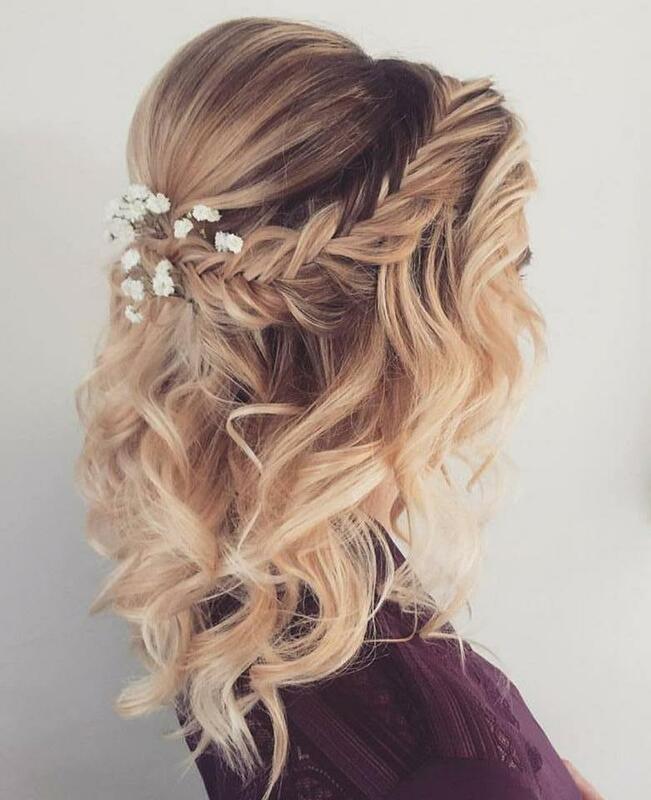 Everyone’s hair was amazing she did exactly what they asked and it couldn’t have been more beautiful! 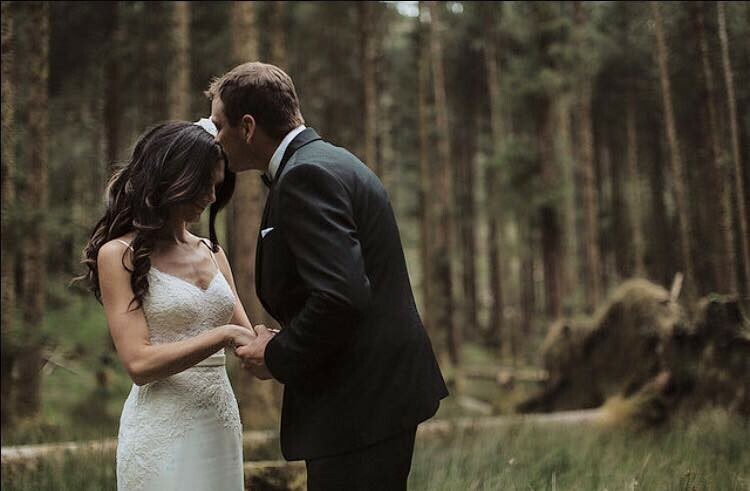 I had done a couple trials with Karolina, but I changed my mind of what I wanted on my wedding day and she did it perfectly I couldn’t have asked for anything better! Thank you Karolina! 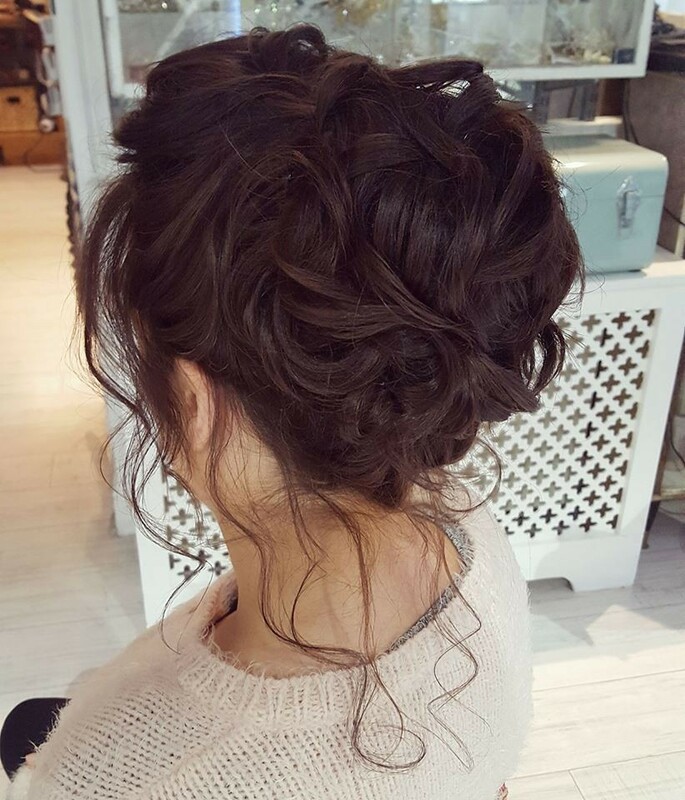 Dominika did the hair for myself, three bridesmaids, my mum and mother in law the morning of my wedding. She is so talented, the up styles were beautiful and exactly what we asked for. They didn’t budge all night but still had a relaxed look to them. 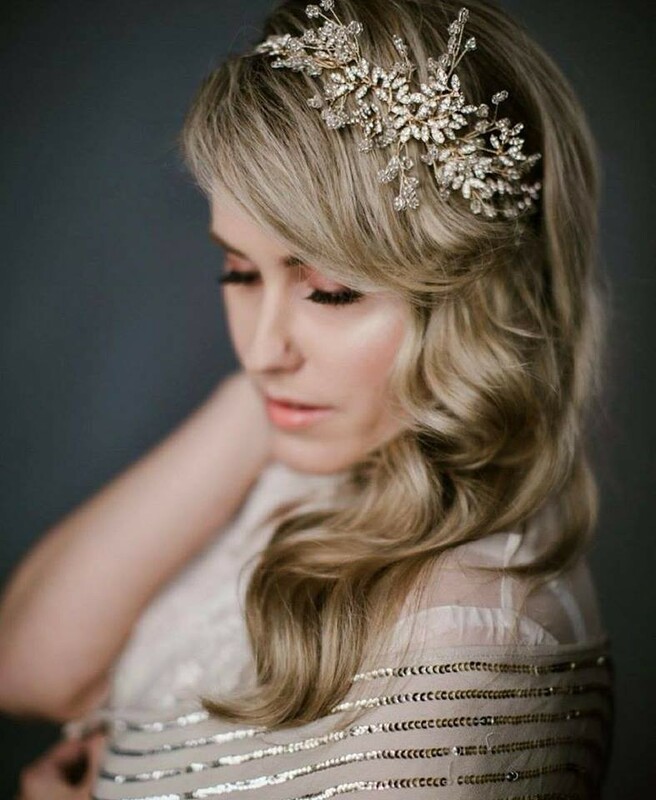 Dominika was so accommodating with hair trails and selecting head pieces. She was so lovely to chat too while we got ready and gave us great advice for the day. 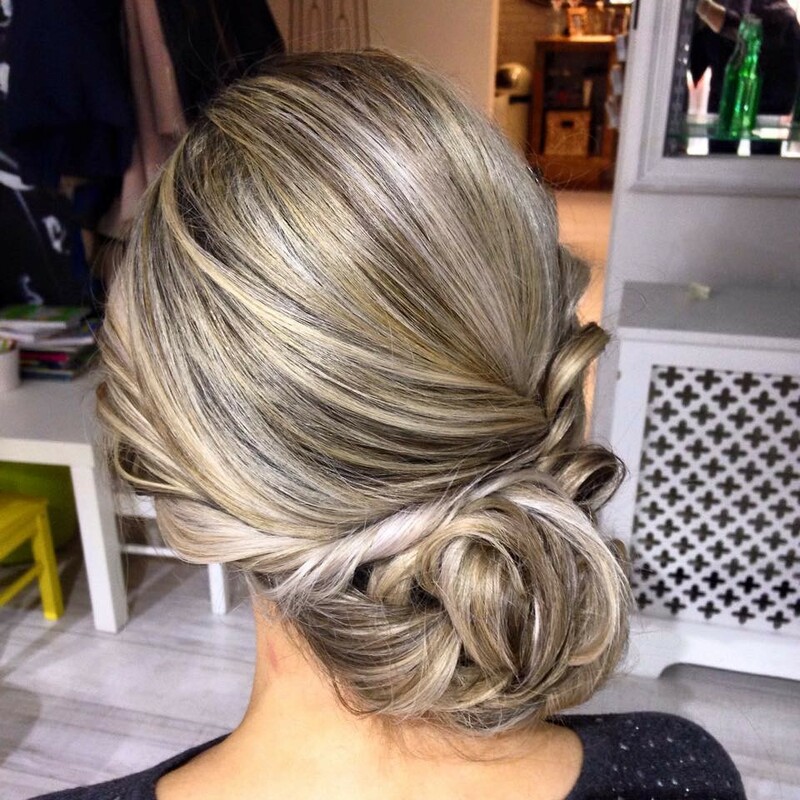 I can’t recommend Dominika and hair passion team enough for future brides. 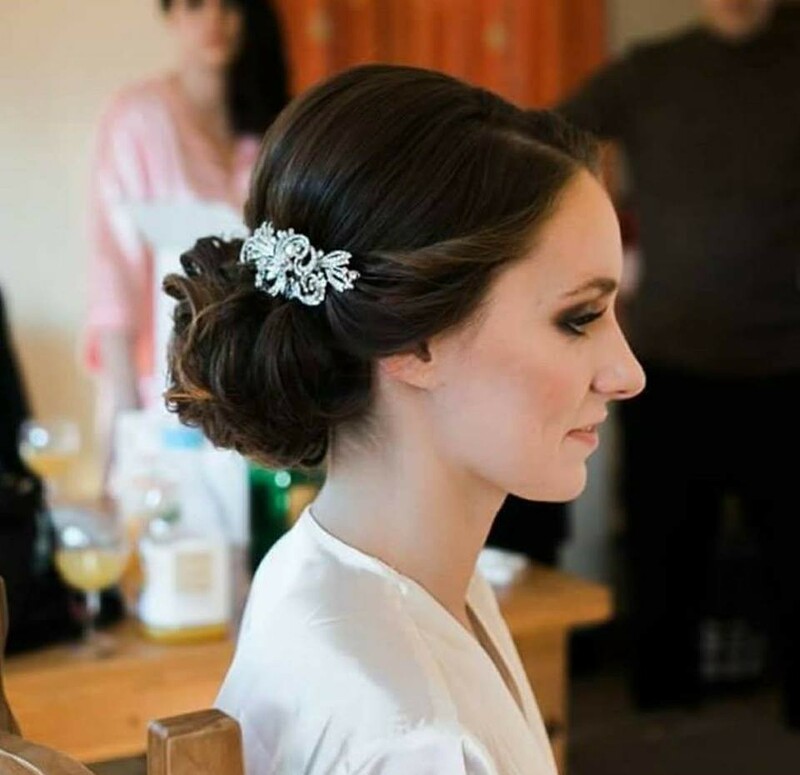 Dominika did hair for myself (bride) as well as my mum, my sister and 4 bridesmaids on my wedding day in January 2018. 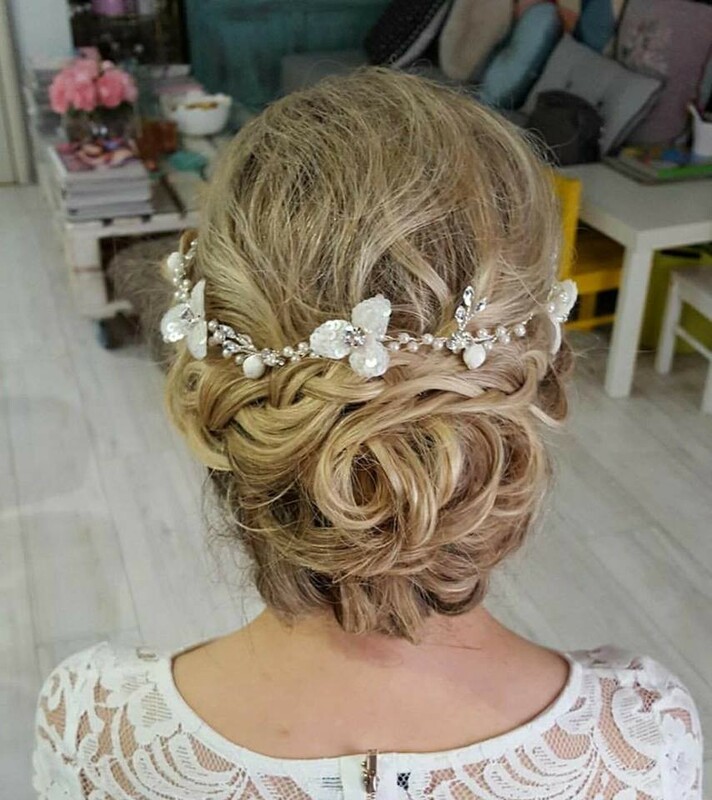 We all absolutely loved our upstyles and I am happy to recommend Hair Passion services to any bride to be. 5 out of 5 stars! Thank you. Anne (Cork). 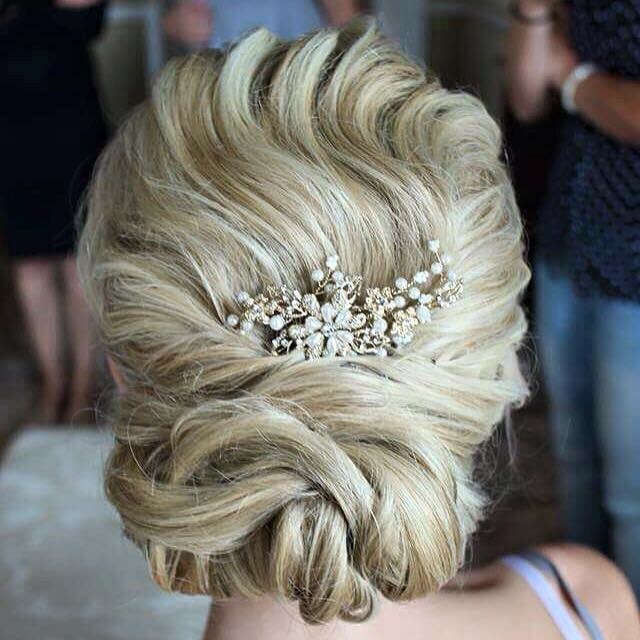 Perfect make-up and wedding hairstyle. 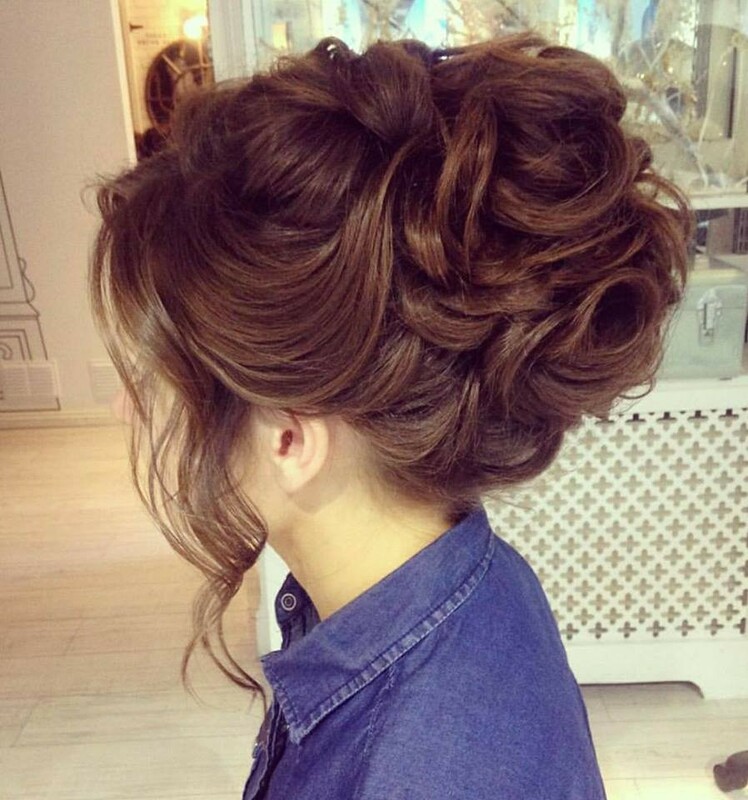 Karolina carried the hairstyle out very carefully... I looked dreamlike:) I recommend with all my heart!!! I cannot recommend the team from Hair Passion enough. Dominika and Karolina were absolutely amazing to work with - so professional, intuitive, kind, generous, and fantastic value for the excellent service provided - they both really understood exactly what I wanted and were a joy to deal with. On every level I felt heard and understood - and our family and guests are still talking about my hair and makeup on the day. Dominika and Karolina could not have been more accommodating. 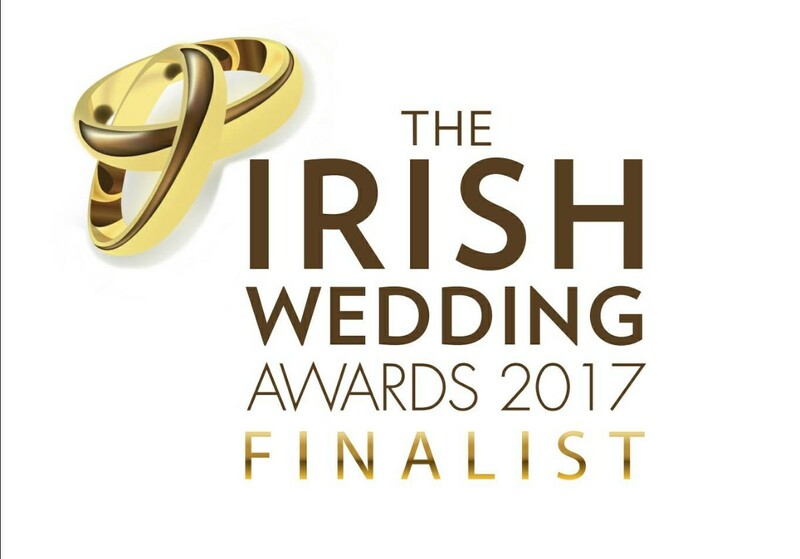 If you are lucky enough to book them - you will not be disappointed - they made me look and feel so beautiful and at ease. I cannot thank them enough. Thank you so much. 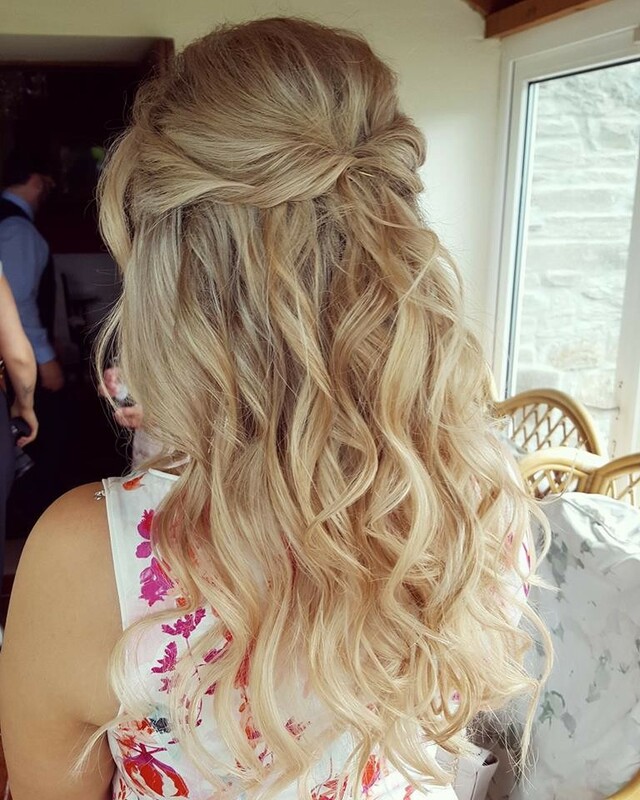 Absolutely loved my hair for my wedding & my 4 bridesmaids hair were amazing also. Exactly what we wanted. 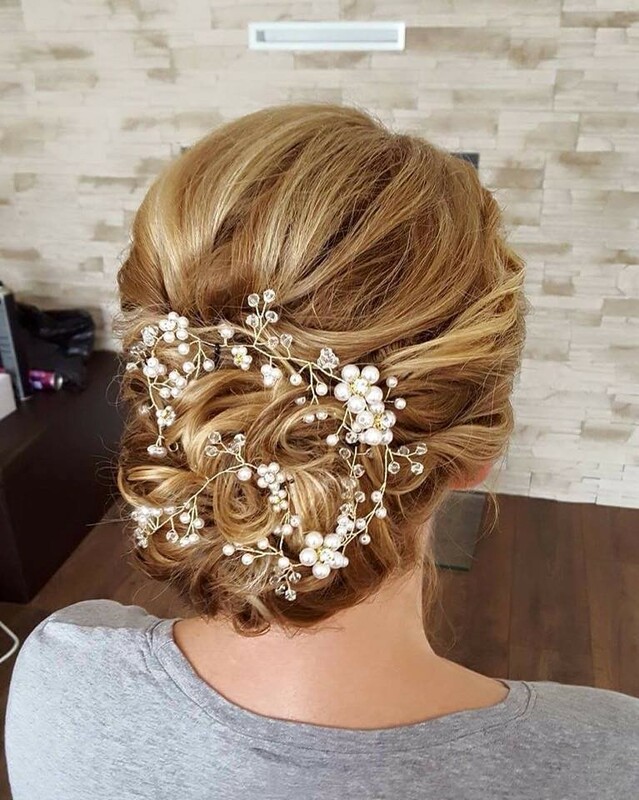 Dominika is so professional, friendly and just lovely, was such a pleasure dealing with her & so lovely having her there the morning of the wedding- made it very relaxed as we knew we could trust her. Would 100% recommend for wedding. Wish I could do it all again?????? 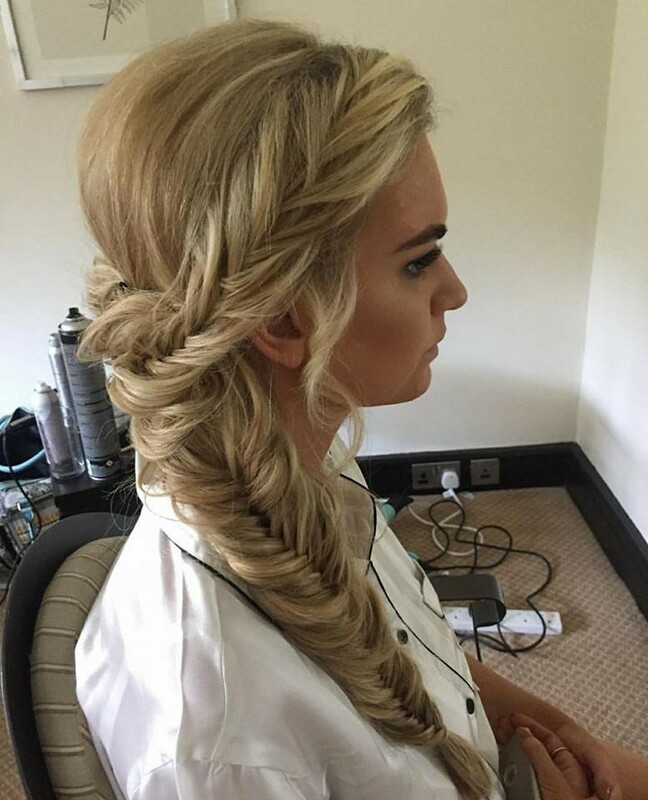 My hair was done by Dominika I have never feel so good as this day She done such a beautiful work and the atmosphere what he brought with her was amazing Karolina did my make up To be honest I was like a star from red carpet All my family and friends were impressed and all my bridesmaids were so happy with a service. I can’t imagine this day without that team as they made my bridal party as a beautiful memory worth more then money Big thank you girls Wish u all the best in feature definitely that was not a last time when we meet ?? 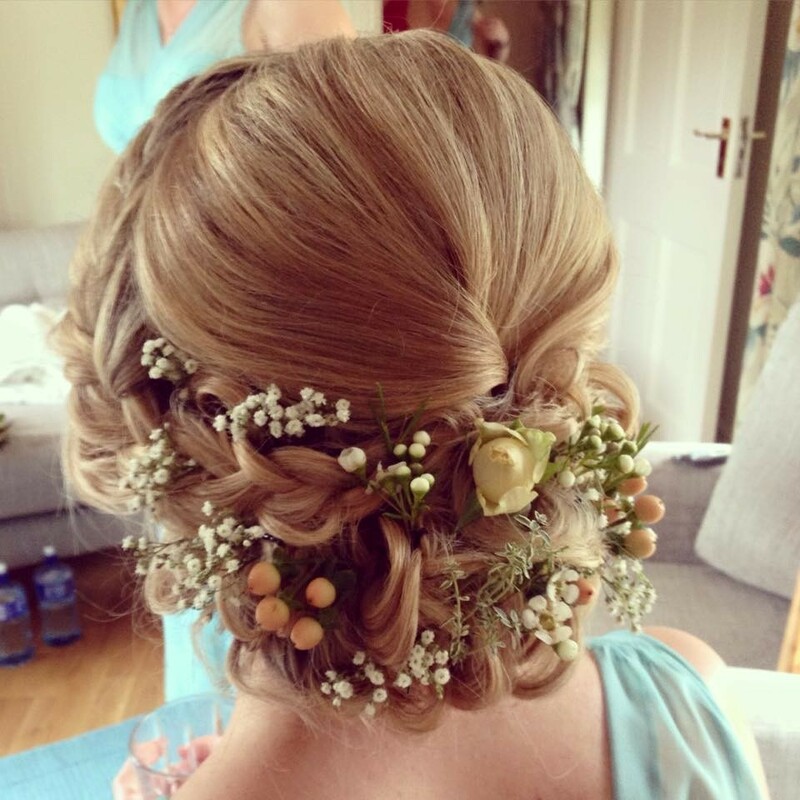 I can't speak highly enough of Karolina who did hair on the day of my wedding for myself, my bridesmaid and my mum. For my trial she gave me so much attention and listened to every idea I had. She tried multiple different styles and didn't stop until I was happy! On the day itself she was professional, organised and calm. She was wonderful to have in the room getting ready with us. She was so patient and really helped me feel relaxed. She stayed with me until I was ready to go and didn't leave until my veil was fixed. 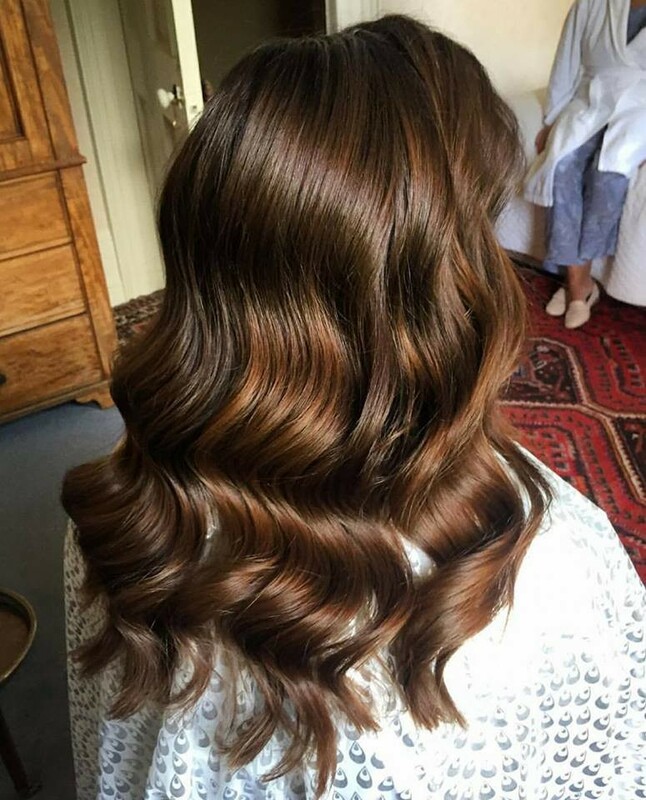 She did such a fantastic job for 3 women who all have very different hair! I couldn't have been happier. Also a big thank you to Dominika who helped me organise appointments and to all the team who looked after my hair in the run up to the day. 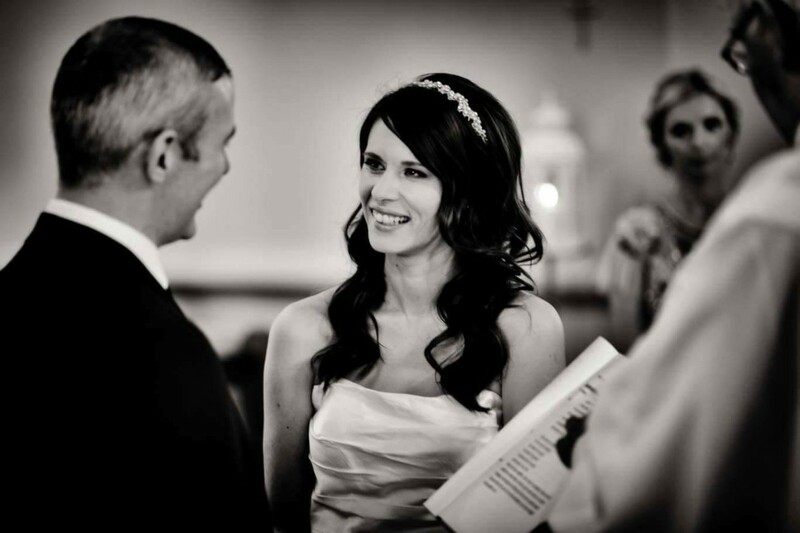 Karolina was, without a doubt, the best decision I made for my French wedding. She was professional, flexible, bubbly, kind, patient and talented. She took her time with my trial and on the day ensured that I was calm and looked after. Thank you so much Karolina for all your help in making my day go smoothly and making me picture ready! I am truly grateful! 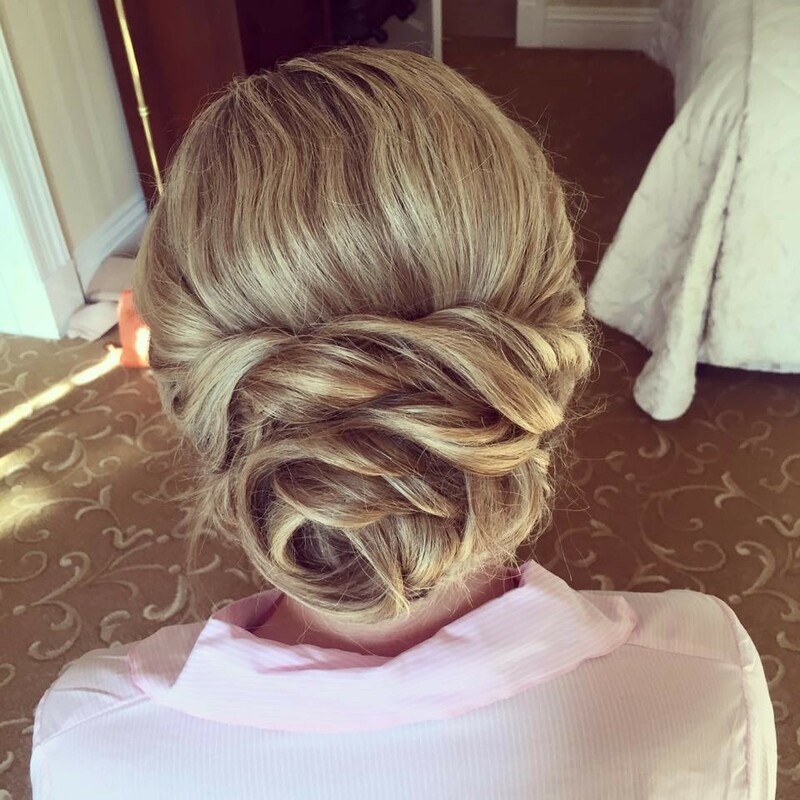 Karolina is the best hairdresser you could find for your wedding day! She knew exactly what I wanted and recreated it perfectly. 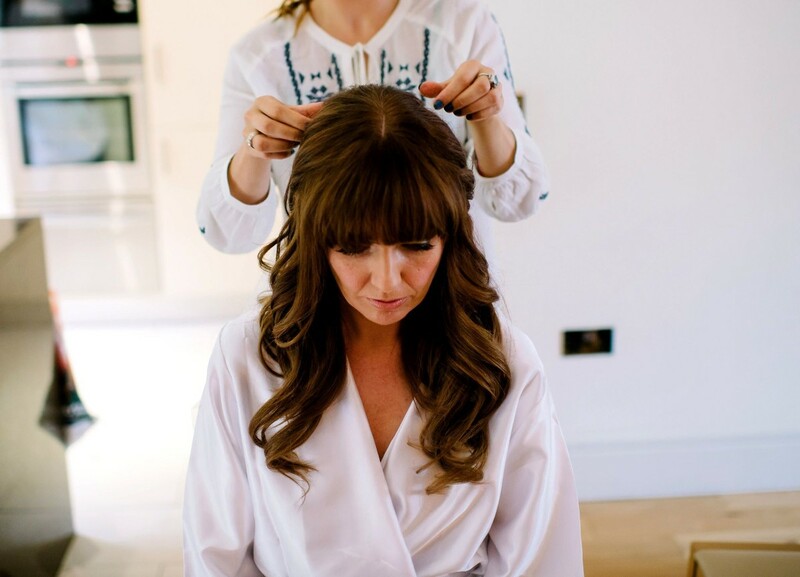 Karolina is an amazing hairdresser but she is also such a great person to have with you on your wedding day. She was so friendly and relaxed. Me and my bridesmaids could not have been happier with all our hairstyles. 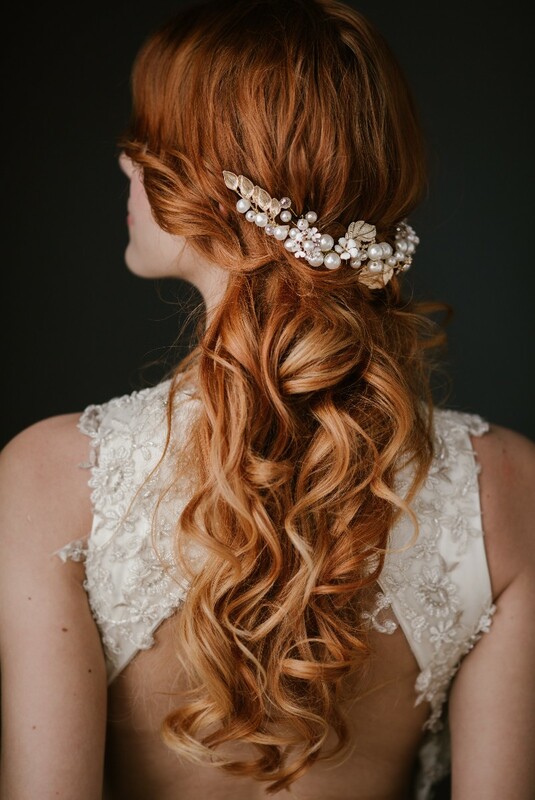 I would highly recommend Hair Passion for bridal hair!!!! The Girls are amazing! I was pleased to met Them! 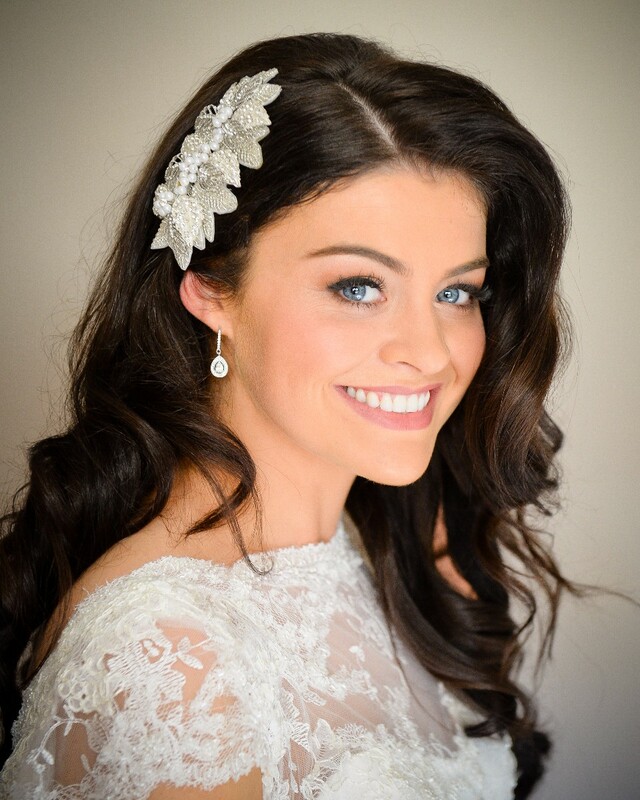 Karolina was my bridal up-stylist, she is really professional, she can provide great advice. 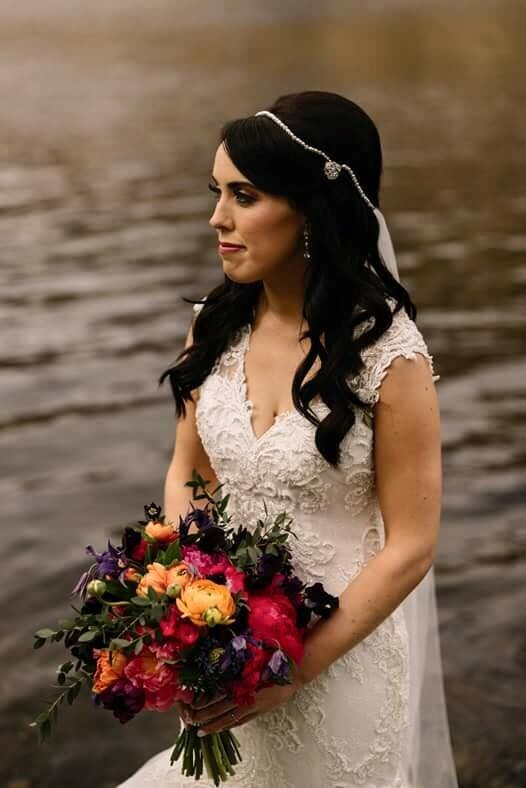 I looked incredible and unique on one of the best day of my life:-) I strongly recommend! There are no words to describe how pleased I was with Hair Passion. 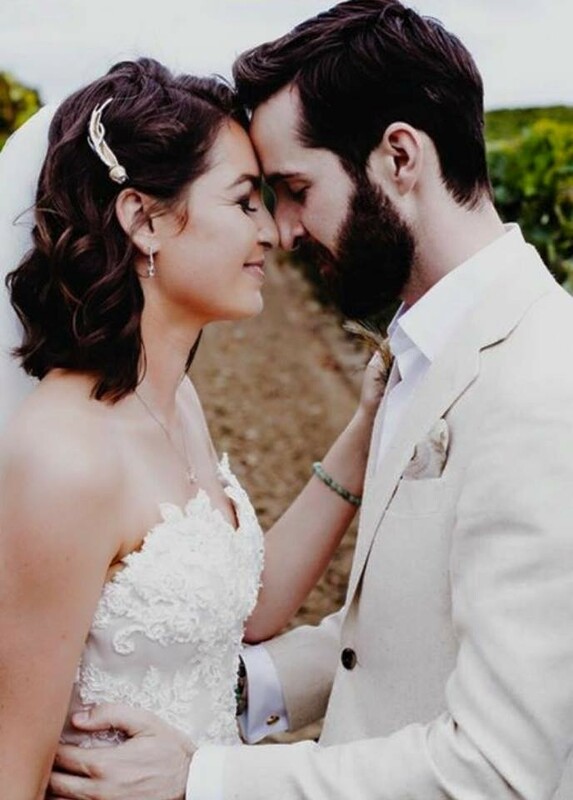 They provided me with professional help and advice when I had no idea what to do with my hair and make-up on my Big Day. When I saw the final effect I was speechless, emotional and amazed. They were able the highlight the beauty that I had but I was not aware of. And trust me I looked absolutely beautiful and stunning on my wedding day. I highly recommend Hair Passion and will be forever grateful to Them for their amazing work. 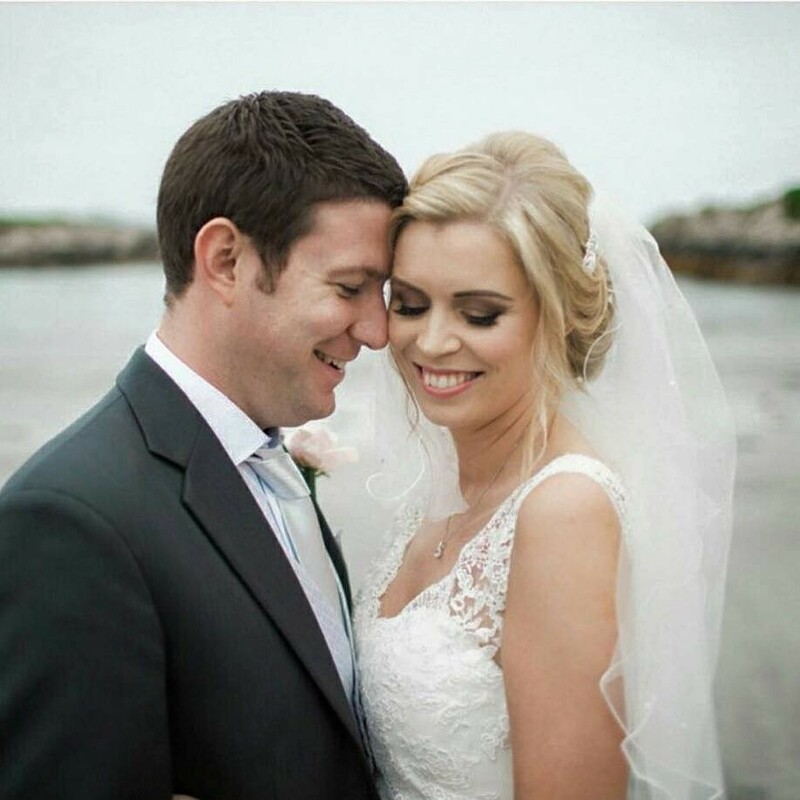 This is the best team that you want for your wedding day hair and makeup and for any special occasion! Dominika and the Hair Passion team are Amazing!!!!. My makeup looked great as well... 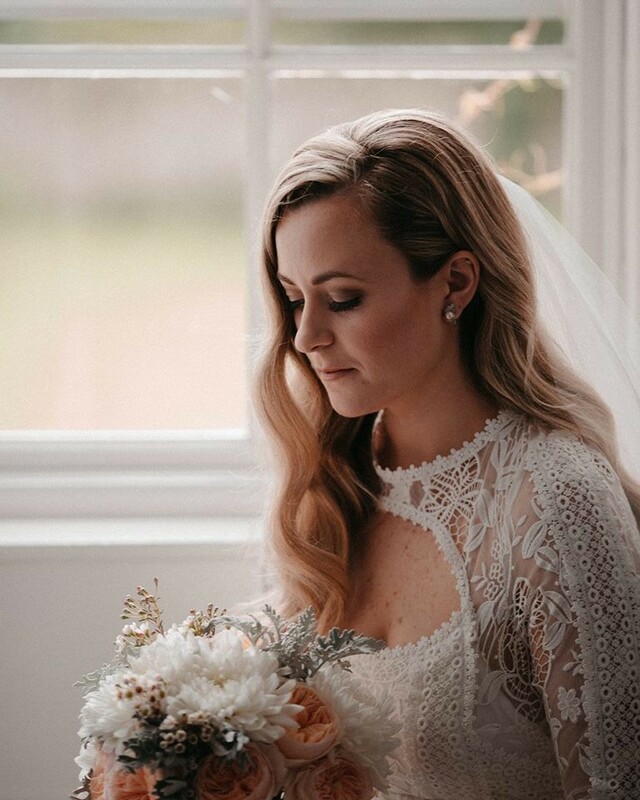 I am very particular when I have my makeup done, and find that I never feel like myself and am always fixing it later... With Dominika and Karolina, I felt just like a more beautiful version of my every day self... which ultimately, I think, is what every bride wants. I HIGHLY recommend Hair Passion Salon to any one who wants a stunning look that will last all day/night long! Thank you Dominika !!! 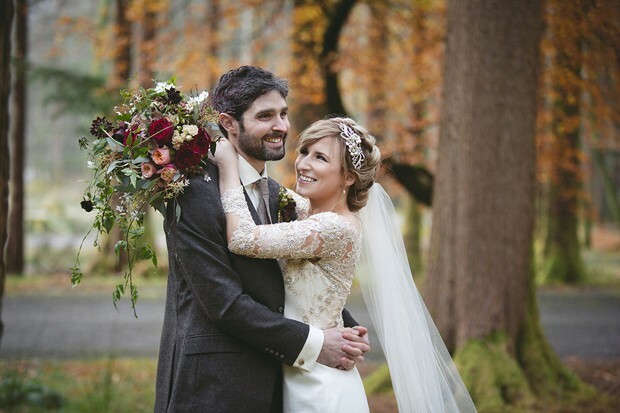 When I met Dominika for my trial, I knew I had found the right person to look after my hair on the day of my wedding. Dominika is AMAZINGLY talented. She is so intuitive and skillful. We spent an hour or two creating different looks with different veils and accessories and finally came to the perfect look. Not only did Dominika look after me on the morning of my wedding, she also did my bridal party and my Mother. I have to say she looked after my Mum so well. Mum was so anxious about her hair that morning but Dominika took the reigns and did a fantastic job. My mum looked and felt so beautiful. Dominika seemed to sense exactly what we all wanted without us even knowing ourselves! Dominika is professional, kind, extremely generous with her time and is such a lovely genuine person. 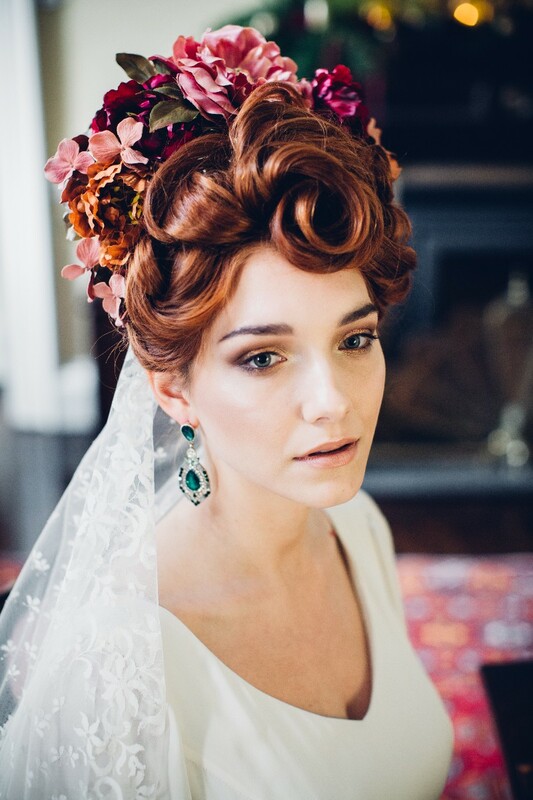 I wish she could create another wedding day look for me! It was such a creative and fun experience. 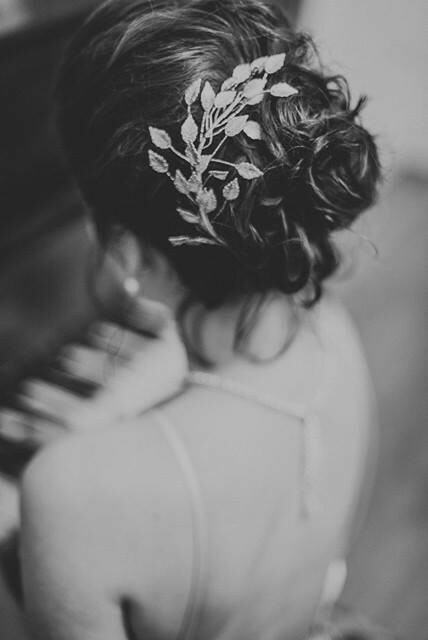 I would highly recommend Hair Passion to any bride to be. Dominika - thank you for everything. 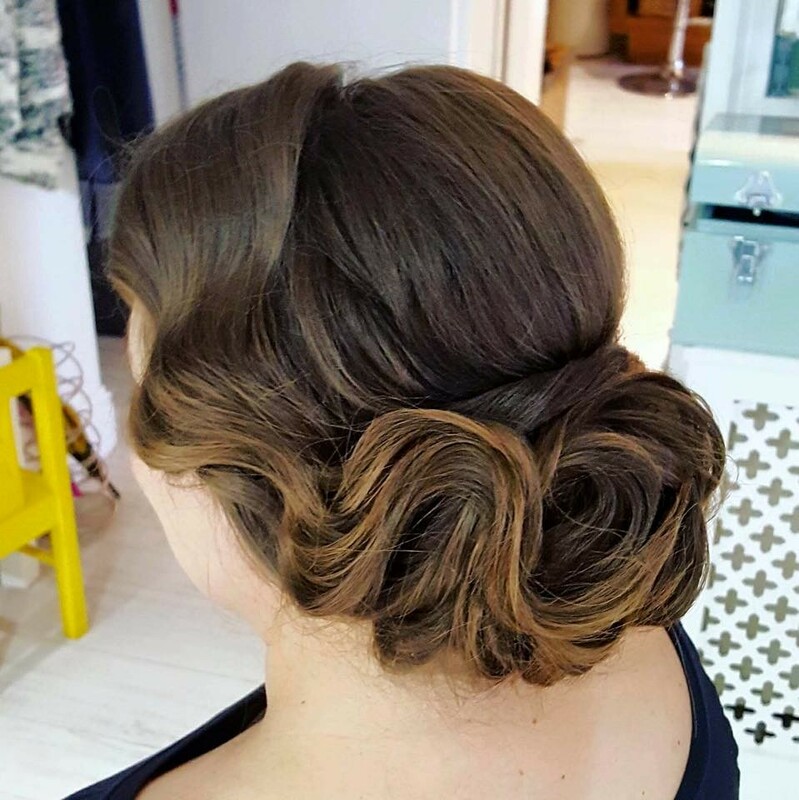 Your business name (Hair Passion Art) is absolutely perfect, as you truly created a work of art with my hair, which complemented my vintage dress to perfection. It surpassed any expectations I might have had about how I would look on my wedding day. I've no idea how you managed to tame my unruly hair into such an elaborate look, so quickly and effortlessly! I received so many compliments throughout the day about it. I was so sad to have to take it apart at the end of the night (it survived all of the dancing!) and wished I could hold onto it forever! You also worked wonders with everyone in the bridal group, creating such unique and different styles. Thanks again, and every good wish to you. 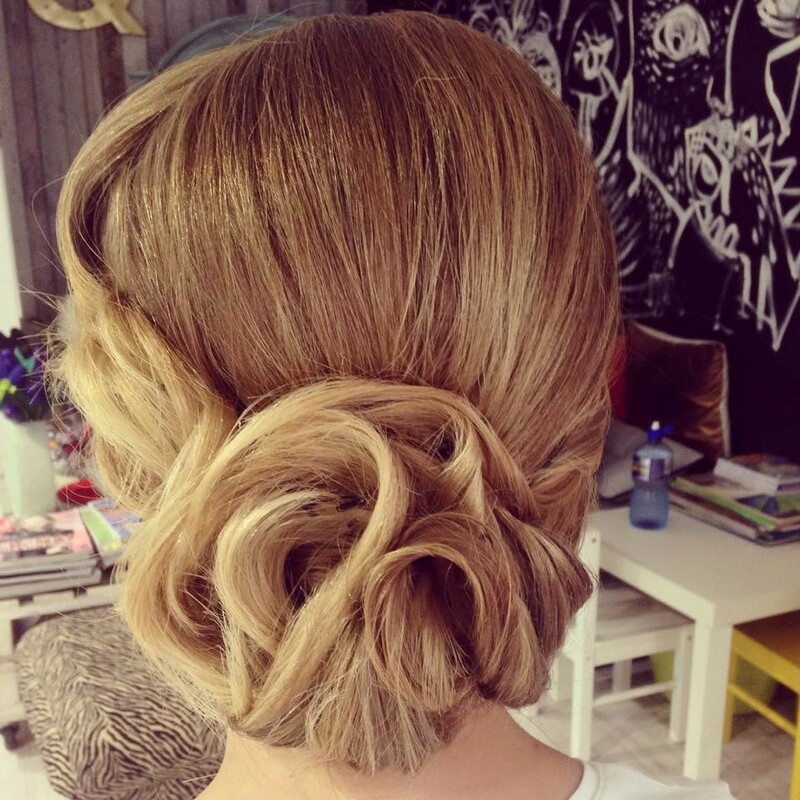 Dominika, thank you so much for the beautiful up style!!! It was exactly what I wanted for my wedding day. Everyone had lovely things to say about it. It even held up the day after so I proudly sported it all of Sunday. 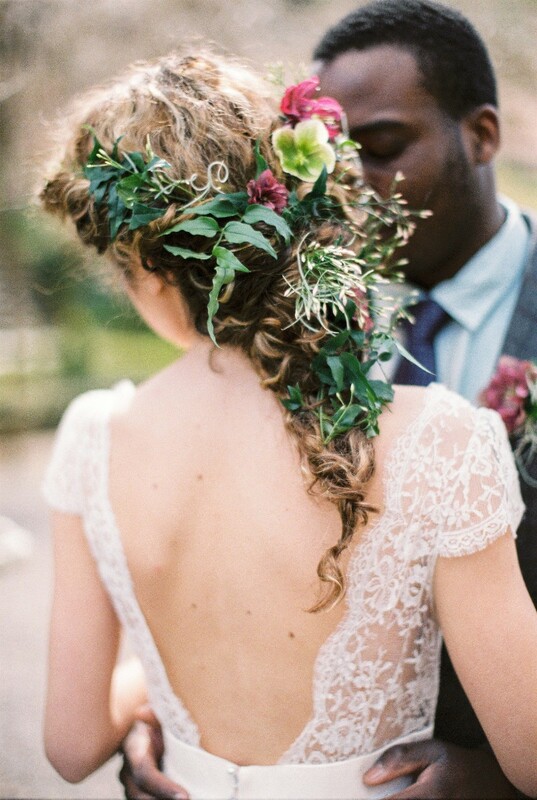 Finding someone who shares your vision on your wedding day is so important. For that I thank you. Once all the pieces came together the hair, make-up, dress and accessories I couldn't have imagined it more perfect for me. Kindest regards. 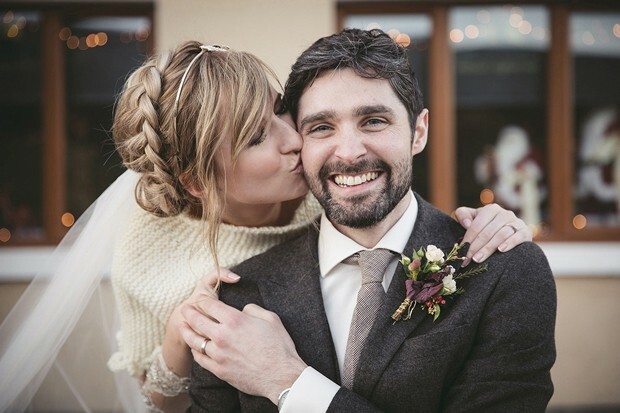 Dominika was an absolute pleasure to work with...from our first email exchange to finishing touches on my wedding day she was so accommodating and easy to deal with. 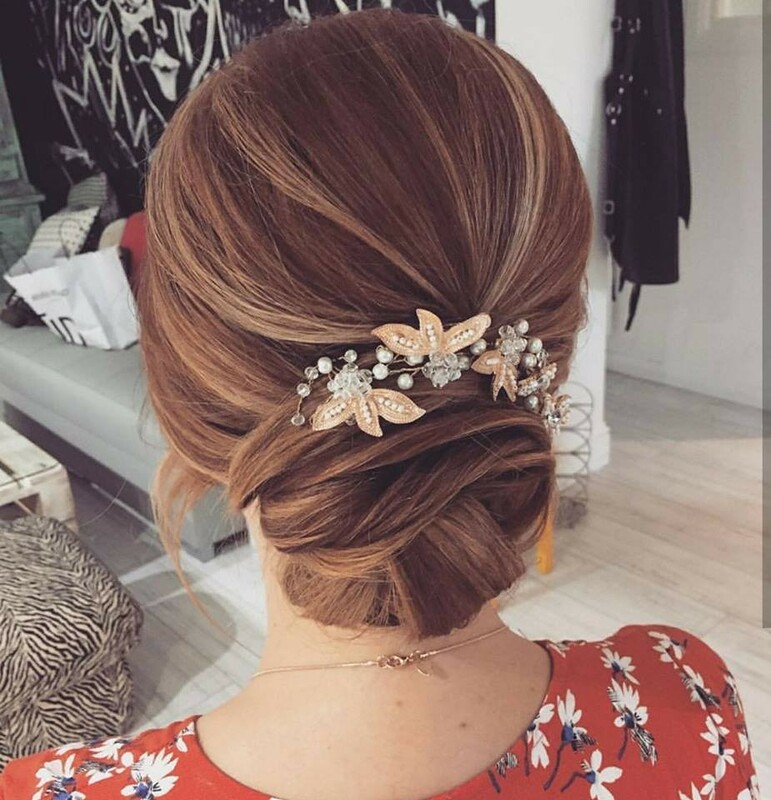 When I went for my hair trial I really felt that Dominika listened to what I wanted and I was really impressed with the style that she gave me. 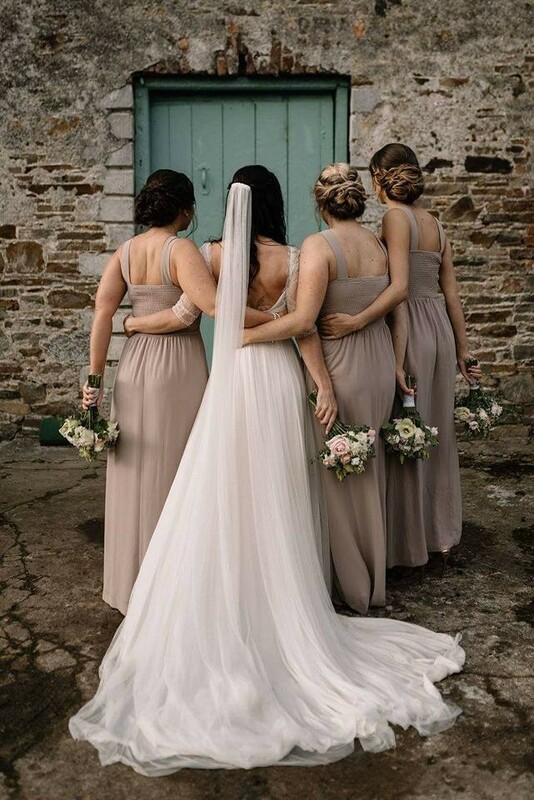 The great thing about this was that on the day I felt completely confident in Dominika’s hands, and as all brides know you have so many other things to think about on the day that one less thing is always a bonus! 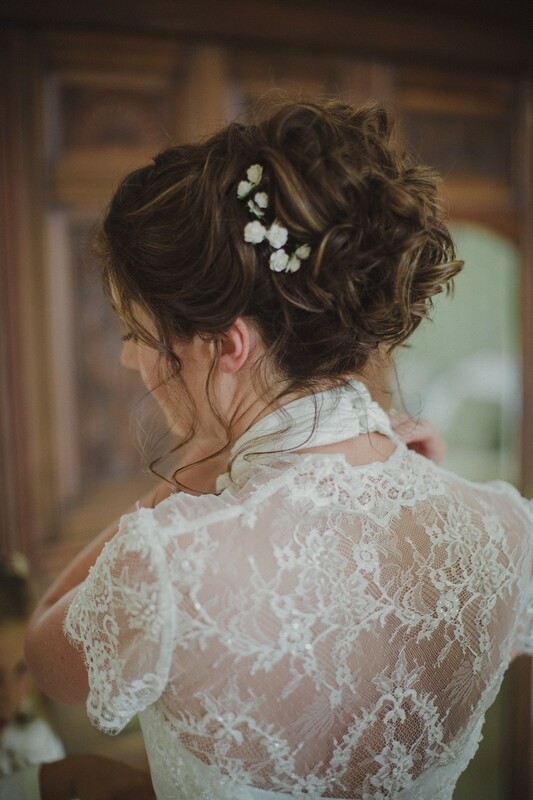 I went with quite a natural, curled up do, that didn't look too structured, with a small spray of gypsophila flowers. The style stayed in place perfectly all day and was really comfortable considering how many pins I pulled out of my hair at the end of the night! 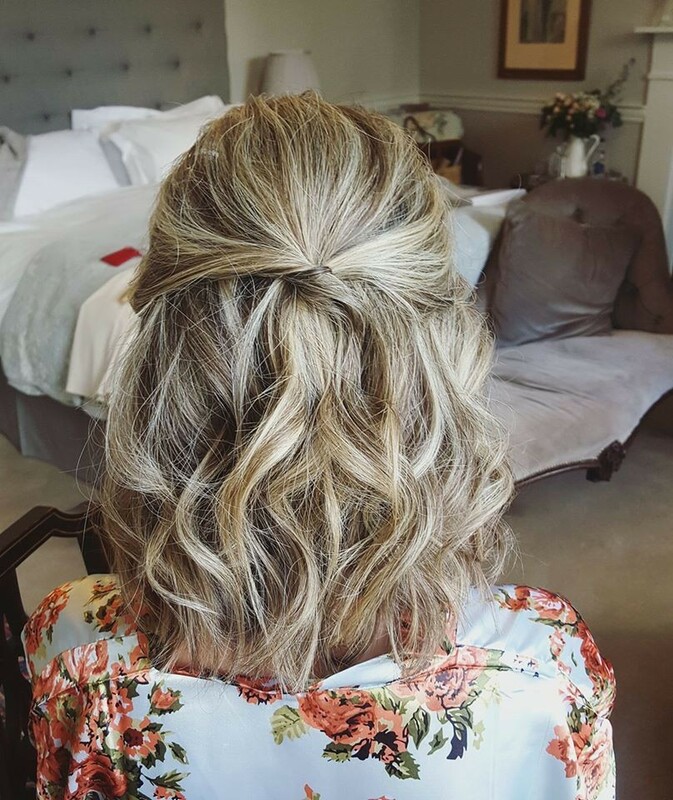 She did a fab job with my bridesmaid and absolutely transformed my mom! 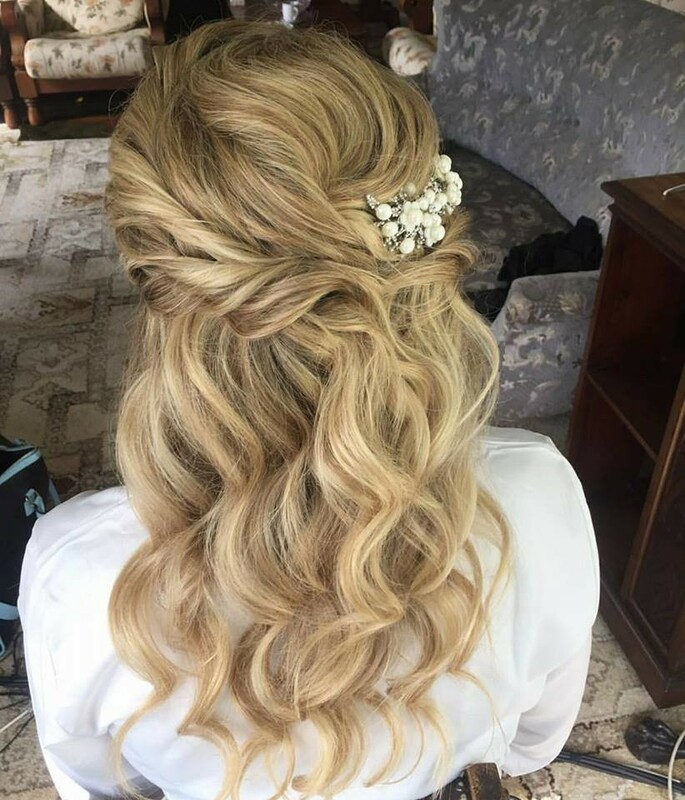 My mom was so nervous before the wedding and really worried that her hair wouldn't turn out well on the day and I think a big part of her was regretting that she hadn't had a trial before the wedding as well! Anyway, I was confident that Dominika would do a great job and the look on my mom's face when she saw herself in the mirror said it all! She looked amazing and it was great to see her feeling so good about herself all day! 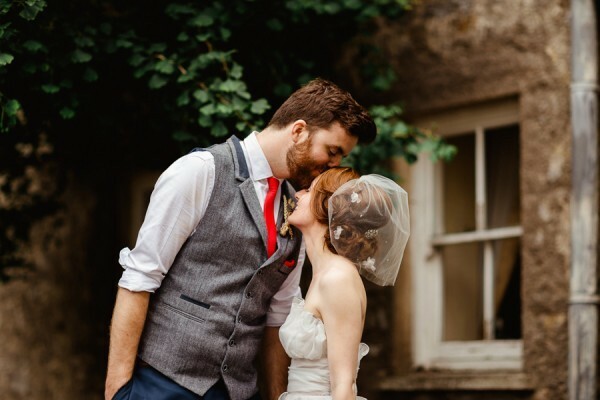 We got married at Longueville House, Mallow and were lucky enough to have an outdoor humanist ceremony. The whole day was better than we ever could have imagined and was very laid back and relaxing! We we're quite unconventional and did the majority of our photos before the ceremony! We did a “first meet” with our bridal party and parents, followed by photos, which meant we got to spend as much time with our guests after the ceremony as possible. It also made the afternoon very relaxing, as we didn’t need to be rushing around from place to the next! 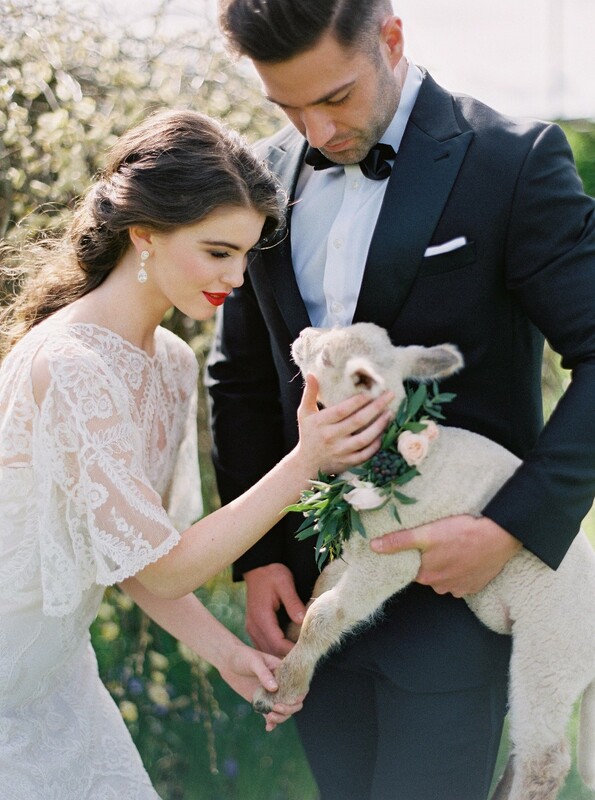 I know this approach wouldn’t be what every bride would like but I would definitely recommend it! Overall, I really couldn't recommend Dominika highly enough. 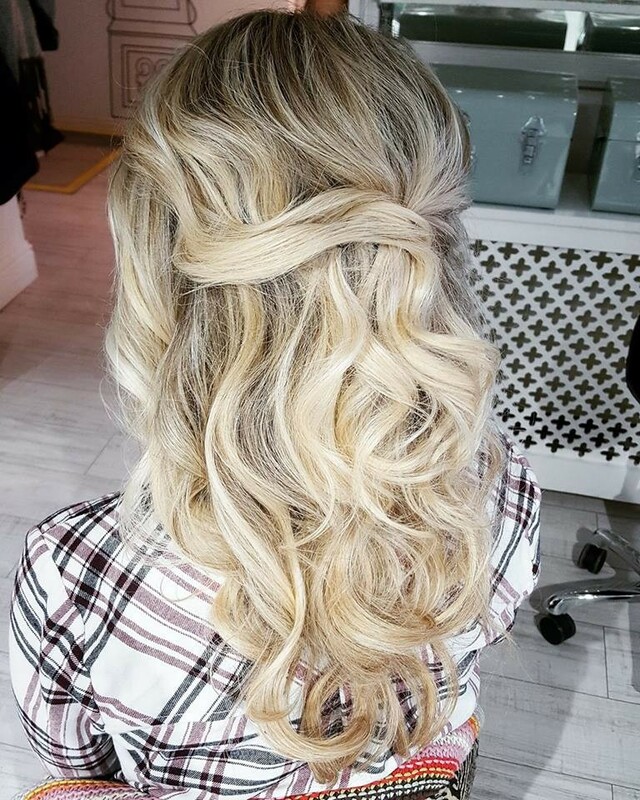 She is such a lovely, warm person to have around on the morning of your wedding, does amazing work and my only regret is that since I live in London I can’t make her my regular hairdresser! 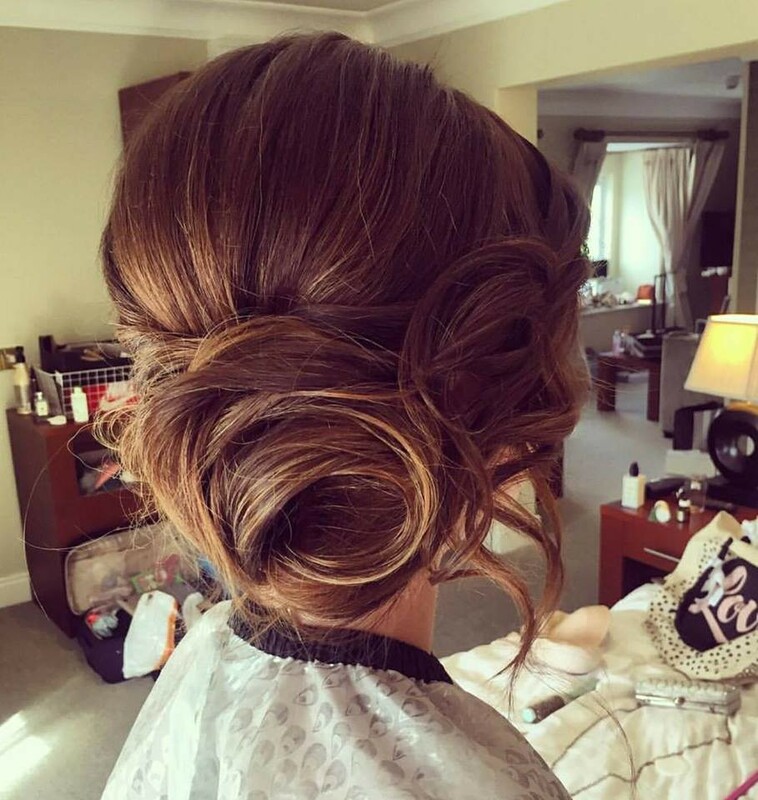 Your hairdresser will be with you on one of the most memorable mornings of your life, you need to like her and feel comfortable with her. Dominika was a BIG part of my day and I felt so lucky to have found someone so professional yet so friendly. She arrived to the hotel in plenty of time, got set up, put on some music to help us all get settled and create a nice atmosphere. She organised her time really well along with the make-up artist ensuring we were all ready within our schedule. 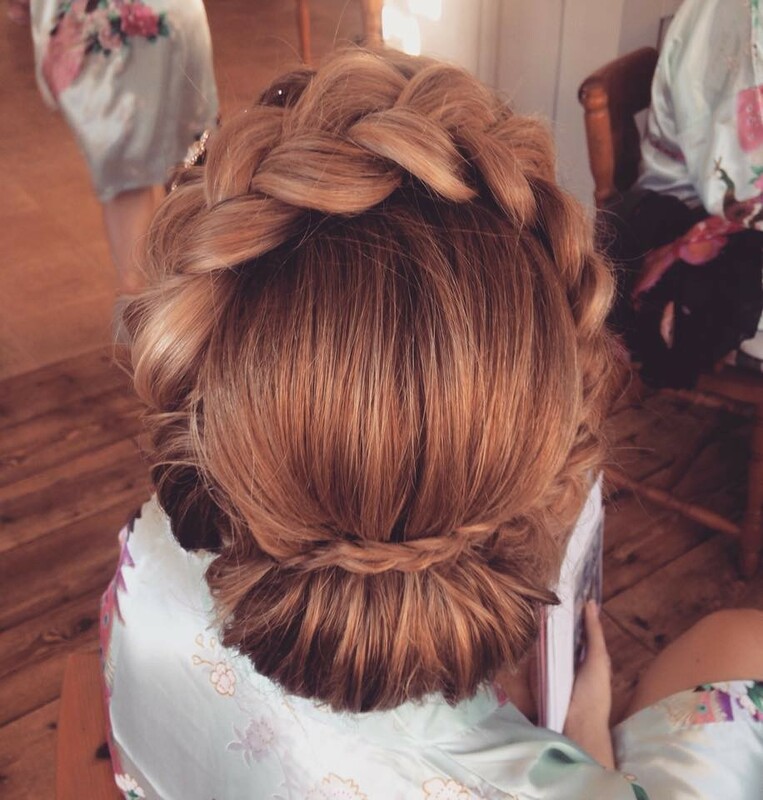 That morning she had to do my sister-in-law’s hair, my mum’s, my niece’s, both of my bridesmaids and me! She worked so quickly yet none of us felt rushed in any way. She was so caring and considerate to each individual checking they were pleased with what she had done and making any, even if slight, changes necessary. We were all so pleased with Dominika’s work and my sister booked her to do my niece’s First Holy Communion too. There again, she was so professional and worked efficiently and calmly. So aside from her professionalism and fabulous personality, Dominika is an artist. Her talent does not stop at hairdressing. She has a unique gift of translating art to hairstyles. 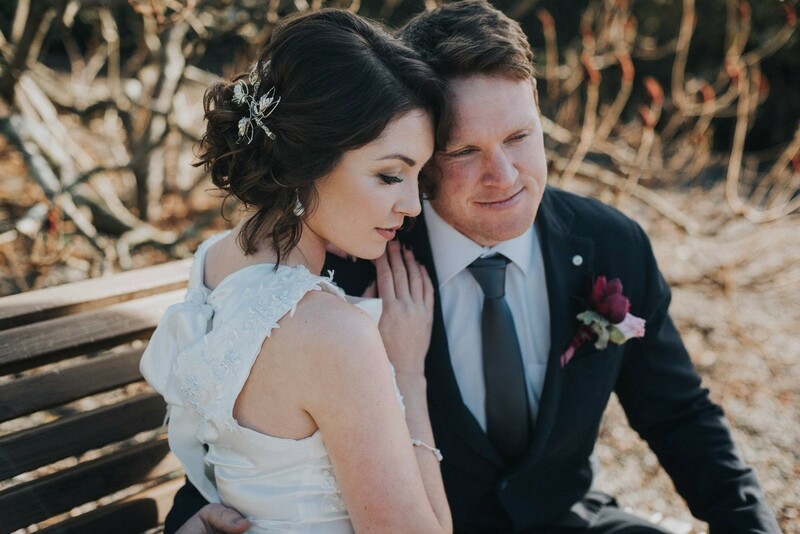 I was blown away by what she did for everyone on the day of our wedding. So many people commented on my hair and complimented how it looked. 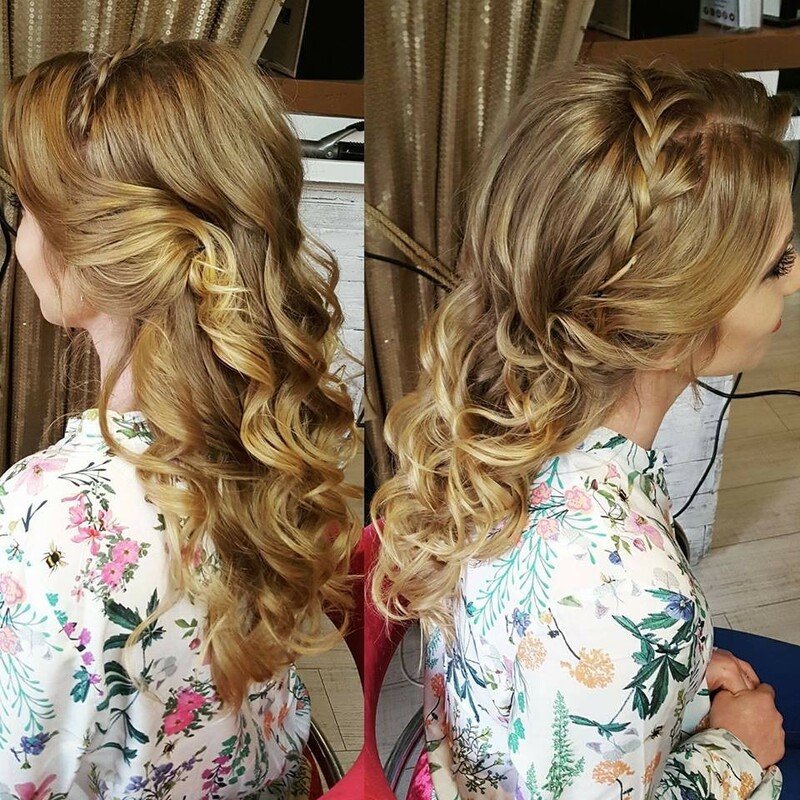 It became part of the whole look which is exactly what I wanted, this is where Dominika’s expertise came in! 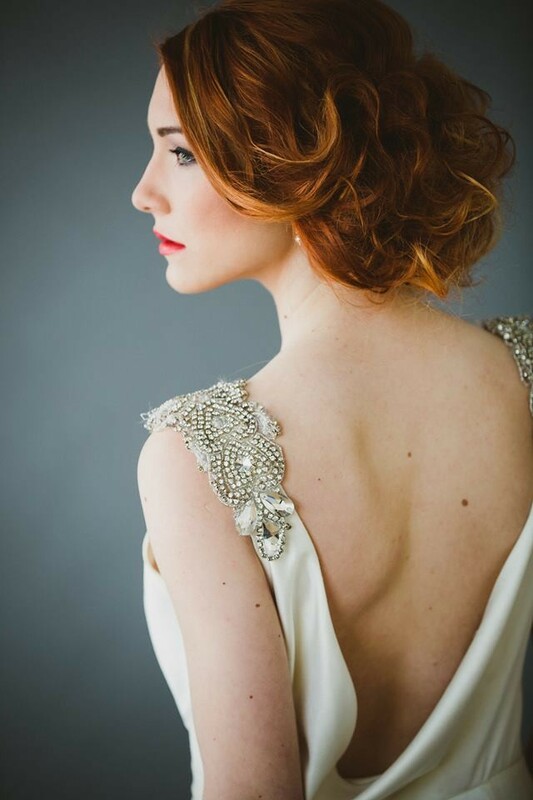 Overall, I would highly recommend Hair Passion salon and am excited for the next bride to be in Dominika’s care. It isn't just a one day experience, it’s a journey that I really enjoyed. Thank you Dominika!! !